Thanks for joining me for the third year in a row for my annual Top 3 Faves Lists of 2008. It was an interesting year for sure. I was actually quite a bit surprised at my own results to be honest. I’ll admit, I’m a fairly predictable kinda guy, so I’m pretty stoked that some of my choices are a little off of my beaten path. Anyways, it was quite a year—so here we go! 3. For Emma, Forever Ago: Bon Iver - This rad little album came out of nowhere with genuine listenability. For Emma, Forever Ago is on the same musical spectrum as the My Morning Jackets and the Bands of Horses albums of the world but with a bit more longing and reverence to it. Apparently these guys are so good, they managed to remain featured as Upto12’s most recent post for the last six months! They are definitely the best “Bon” band since Jovi. Their rad original album cover is what's pictured here. Standout track: For Emma. 2. Kala: M.I.A. - If “favorite” album is gauged by what was in highest rotation for me this year, Kala by M.I.A. has got to be counted as one of the year’s best. There’s nothing like the lyrics to the Pixies’ Where is My Mind? juxtaposed with the combination of a children’s choir and the ringing of gunshots. Though released in 2007, it took a preview for a little movie called Pineapple Express to inextricably embed the track Paper Planes into our collective consciousness. Standout trailer: Watch it here. 1. Viva la Vida: Coldplay - For me (and a lot of other really cool peeps) Viva la Vida is the album of the year. It’s anthemic, yet approachable. It’s striking, yet soulful. It’s epic, yet easy on the ears. In my mind Viva la Vida definitely elevates the good old Coldplays from pop phenoms to rock-n-roll torchbearers—able to draw together fans from all walks of life. They’re able to satisfy a majority of the indie crowd and the top-40 crew simultaneously. That’s a feat few bands are capable of. Standout track: Yes. 3. Watchmen Trailer - Whether you like it or not, one of the most cinematic pieces of the year is without a doubt the Watchmen Trailer that originally premiered right before The Dark Knight. This preview has been hailed as one of the best trailers ever. What makes this thing so incredible is that it demonstrates the maniacal lengths they’ve gone through to maintain consistency with the graphic novel. On top of that, it’s just a flat-out amazing music video. It’s cut to the tune of The Beginning is the End is the Beginning by the Smashing Pumpkins, which is ironically the B-side to a song they wrote for the worst superhero flick ever, Batman & Robin. Standout scene: The 145-foot Dr. Manhattan zapping a poor unsuspecting member of the Vietcong. 2. Kung Fu Panda / WALL•E - So in the spirit of my last year’s Juno/Dan In Real Life tie for fave film, I’ve got yet another tie this year. Though these two flicks are extremely different in tone, delivery and style—they are inseparably connected by their profound adherence to their respective genres. Kung Fu Panda is an exceptional martial arts comedy that just so happens to be CG. WALL•E is a superb sci-fi romance that also just so happens to be CG (and will most likely win the Oscar for Best Animated Feature). What’s great about these films is that they’re both totally re-watchable in their own unique ways. Standout scenes: Ty Lung’s escape and any scene with EVE in it. 1. The Dark Knight - No brainer, right? Well, not so fast. Compared to my prior years’ winners (all dramadies) an obviously dark, crime drama doesn’t really fit my mold for favorite movie of the year. But there’s no denying how radical this flick is. Thanks to Christopher Nolan’s relentless desire to ground this thing in reality and an indisputably jaw-dropping performance by the Heath, The Dark Knight is elevated from a mere super-hero flick to a full-on epic crime drama. Standout scene: Uh hello, the Joker in drag? Duh. 3. Flight of the Conchords - Though released in 2007 it took the combo of the writers’ strike, YouTube and a pretty sweet Podcast to mainstream Season 1 of this HBO hit. No one can dispute the hysterical hijinks of this particular couple of Kiwis. The tone, delivery and satire infused into every scene really gives you the “Who are these guys?” vibe and it’s fun to see just how far they’ll take it. And watch for Jemaine Clement in the next Jared Hess flick: Gentlemen Broncos. Standout episode: The If-You’re-Into-It episode, “Yoko”. 1. 30Rock / SNL / Tina Fey in general - You knew it, I knew it. There was something in the air this year and it was the essence of Fey. She was everywhere and frankly—unlike some—I couldn’t get enough. From an award-winning sitcom to an uncanny resemblance to a particular Palin, Tina capitalized on it. She managed to blerg her way from Weekend Updater to possible political tide-changer. And she’s so hot! Between her SNL cameos and the strangeness that is Andy Samberg, as of this season, SNL is a whole new beast and I’m lovin’ it. The only question is: Can there be too much Fey out there? Standout performance: The Couric/Palin Opening Sketch. 3. Audi R8 - When you think about it, supercars haven’t changed all that much in the last 20 or so years. I mean a Lamborghini still looks more or less like a Lamborghini, Ferraris like Ferraris and Porsches like Porsches. But the R8 is something completely different. It’s got the all-around performance to match a 911. It’s got styling that rivals the sickest Lambo and if Tony Stark can drive one—then Magnum P.I. can too! Standout feature: Soon-to-come ultra clean burning diesel engine. 2. BMW 135i - Is it the reincarnation of the classic 2002? Debatable. But there’s no doubt about it, this car is a sick little pocket rocket. It’s a 300 hp bi-turbo shoehorned into a two-door without any other purpose than to go fast on a budget. With this power-to-weight ratio, you’re nearing M3 performance at a fraction of the cost. Granted a fully decked 135i can easily double the cost of a similarly equipped MCS or GTI, but if you wanna smoke some punk in a WRX, there’s not a more effective or elegant weapon on the planet at this price point. Standout model: The 1-series based tii concept car. 1. MINI Cooper Clubman S - Okay, I admit it, this one is squarely on the beaten Kyality path. But the Clubman was made for me. I see it like this, if you drive a MINI, particularly a Cooper S, you’ve already proven you’re a savvy driving enthusiast. But when you’re rockin’ a Clubman you’ve now officially elevated yourself to driving connoisseur. The Clubman is an exercise in post-modernism, it’s the intersection of classic Bristishness and next-gen technoratism. Just don’t be too surprised if you see me rollin’ in one at some point. Standout feature: Double barn doors in the back, booyah! 3. hulu.com - Whenever a telemarketer from a cable company calls offering hundreds of channels, I always ask the same question. How do I get just one channel, so I can watch just what I want to watch. With Hulu, I may not even need that. Finally someone has figured it out. They’ve discovered a format that will give views/users the opportunity to watch hundreds of shows and movies both current and classic in fullscreen with limited commercial interruption. It’s convenient, guilt-free and most importantly it’s extremely well designed. I predict that Hulu will be a major entertainment game-changer. Now if Apple would just stream it through Front Row, we’d be set! Standout feature: The SNL page. 2. Apple MacBook and Macbook Pro - Say it with me now: al-lu-minium. Do this little experiment. 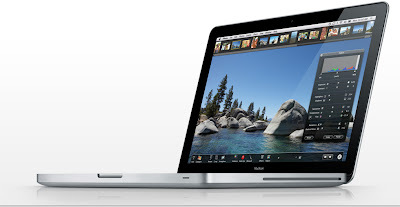 Pull up a picture of the latest Dell, HP or Sony laptop and then pull up a pic of the new MacBook. Night and day. Thanks to Jonathan Ive and his crack team of industrial designers, engineers and innovators, we’ve entered a new era of computing function and form. There’s something pretty inspiring about working daily on a slab of aluminum and a pane of glass. The glass Trackpad in and of itself is a massive feat of elegant engineering. When you get a chance, wander into an Apple Store and take one for a spin and in the meantime watch Jony Ive get his accent on here. Standout feature: Seamless integration with the new LED Cinema Display. 1. The Obama Brand - The design world was dominated this year by the brand of a man named Barack. Creativity Magazine had a recent cover story with a headline that read: When a Brand Becomes a Movement. This couldn’t be further from the truth; it’s actually the exact opposite scenario. The Obama Campaign started as a traditional movement. Through the creativity of firms and folks like: SimpleScott, Sol Sender, MODE, Shepard Fairy and Scott Hansen—this simple movement became a hard-working, living, wearable, sellable brand. It’s proof that exceptional design can move and motivate. Let’s just hope and pray that it all pays off! Standout design: Scott Hansen’s Progress Print. PS: Feel free to check out the reviews of 2006 and 2007! And a Kyality Christmas to You! Well, despite 3 feet of snow and more to come, Christmas was awesome this year. Mrs. Kyality got me some winners! The graphic above is a rad new tee she found on the Chop Shop. 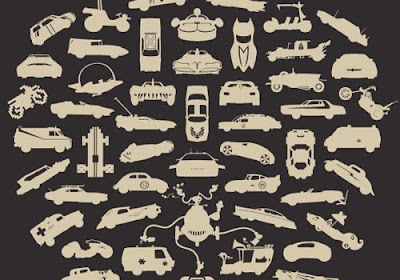 It silhouettes 55 classic rides from pop culture including some of my faves such as: The Delorean from BTTF, the General Lee, the A-Team van, the Mach 5, Luke's Landspeeder and of course, the classic 1955 Lincoln Futura-based Batmobile. Can you guess the rest? 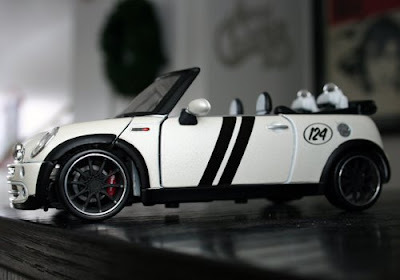 I also scored this sweet scale model of a sooped-up MINI Cooper Convertible to replace the aging BMW Z8, which has graced the top of my dresser for years now. I totally dig the black rims and red Brembo brakes. 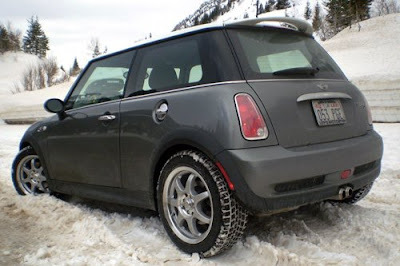 And though I seriously doubt I'll ever own a non-S MINI or a convertible, I can still geek-out about them, right? I saved the best for last... we found this piece for our home. 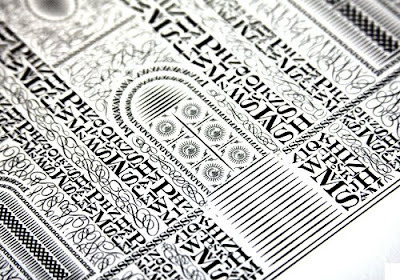 It's a letterpressed print of the Salt Lake Temple designed completely from typography. Utah-based designer Cameron Moll created this limited-edition print and we were lucky enough to nab one of the last ones. We've been told for years to have a picture of the Temple in our home. Now we have a very inspirational pic—in more ways than one! I'm a spoiled, spoiled brat. Still gettin' used to the single button glass trackpad. But the raddest thing is that a brand spankin' new Apple LED Cinema Display is on order too. Booyah! So I’ve lasted a whole month without writing a MINI post. And I’ll admit, it’s been tough. So sorry Team Boo, I’m back on the saddle. This weekend the MINIzilla reemerged for winter, just in time for the first decent snowstorm of the season. Speaking of wheels, I’ve been curious if the two-piece rims that roll on in the summertime could successfully be disassembled, painted and reassembled. Then I came across these little photos. This guy disassembled the rims, rattle-canned them with five coats of paint, hit ‘em with some matte clear-coat, then reassembled them. The results are pretty amazing. 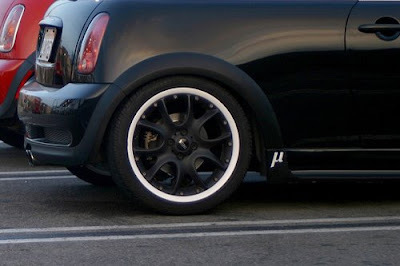 So now I’m thinking about painting the inner pieces of my rims the exact same color, Dark Silver, as the body of my rod. I just think it’d be a cool, simple way to make my rather common MINI extremely unique. 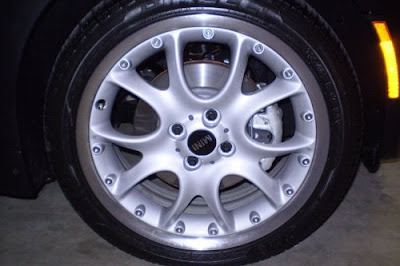 Here's my current rim, thinking I'm goin' grey!